August 18th, 2018 ended up being a happy day for the people of San Clemente del Tuyu in eastern Argentina's Buenos Aires province. From the edge of the beach of the coastal town, residents could see a lifeless shape some 300 meters from the shore. Upon closer look, they realized it was a whale who was beached with almost 70% of its body exposed. Luckily they knew what to do. They called Mundo Marino's Rescue and Rehabilitation Center and half a dozen members of the team sprang into action and launched a 20-hour rescue mission to save the young humpback whale. Soon the cetacean was free. According to the Mundo Marino Foundation, the organization has rescued at least 30 whales and dolphins throughout its history. But within those figures lies a sad irony. While the Mundo Marino Foundation works to protect and free marine life, their sister organization Mundo Marino marine mammal park keeps several marine mammals in captivity. The park, which has been around since 1979 has orcas, sea lions, and dolphins which they force to perform for the paying crowds. These animals aren't toys, they are highly sentient beings that shouldn't be used as props for our entertainment. The park's forced captivity of their own marine life sits in harsh contrast to their foundation's mission of helping to rescue marine life in need. Mundo Marino can't have it both ways. 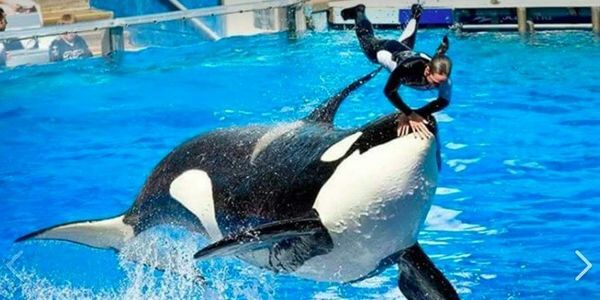 They shouldn't be allowed to hide behind their foundation while their own marine mammals suffer in tanks. Please call on Mundo Marino to do the right thing and release their animals to a sanctuary so that they can live the rest of their lives in peace.